Last week, I had the chance to interview Marikay Abuzuaiter (pronounced a-BOO-zoo-WAITER), a self-proclaimed coffee addict, a seafood restaurant owner, a wife, a mother of two sons, and a proud pet parent of a pit bull named Kaya. She’s also running for Greensboro City Council At-Large as an incumbent. 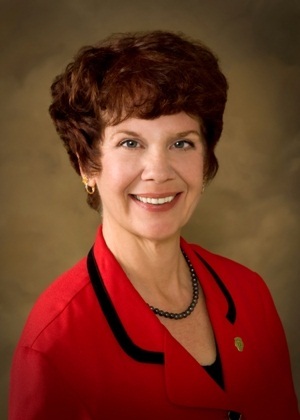 During her time as a City Council member so far, a lot of cultural issues have come up such as the noise ordinance, food trucks, youth curfew, and the GPAC. These things have been particularly of interest to Avant Greensboro readers. Here is some insight on these decisions, as well as decisions to come, from someone who has served several years on the City Council. First, let’s go over some of your favorite moments as a city councilperson. What decisions are you the most proud of? Marikay Abuzuaiter: I assisted in bringing the resolutions against Amendment 1, Citizens United, and for the tree ordinances. This has been my big dream – after running three times and finally getting on the council – to bring everybody to the table – even Duke Power, who started listening to the people. It’s not perfect, there will be major challenges, but I can’t tell you how rewarding that is. We’ve made those relationships and so we’re going to go to the Utilities Commission. It’s kinda cool. With the entertainment ordinance early-on, we had business owners, the police, everybody was at the table. It was something everybody could align with. Everybody came together for the post-RUCO ordinance, too – landlords, tenants, neighborhoods, everybody. We had some pretty contentious discussions. Are there any decisions you wish the council hadn’t made? MA: The noise ordinance. I fought that tooth and nail, but it’s coming back up. I told them it wouldn’t work. I think it’s interesting that even the staff have realized that enforcement has been the main issue. You can stand on the corner of Elm and Market Streets on a Monday and it’s 75 decibels – I’ve got the readings. You cannot take that C-rating. Ideally, we should have established an entertainment district, really. You should do your residential first and the other things will follow. The last 12 months have been intense as it seemed like every City Council meeting had at least one “blockbuster” agenda item with dozens of speakers. Has the council been effective in keeping balance between business and culture, which don’t always align? MA: We’re getting a lot of business incentive requests which is tough. Its so tough because you don’t want to give everybody a huge incentive, but you don’t want businesses lost to other cities. Once you realize if we don’t give a business x-incentive, High Point will get them, or Asheboro or Mayodan. It’s all a money game. So we have been getting a lot of businesses items, cultural and quality of life items. What are our wants and our needs? I’m a huge supporter of cultural arts but it’s really tough in these economic times. Triad Stage? Money. Carolina Theater’s roof problems? Money. CTG? Money. Those things are very important. I would much rather take care of the venues we have instead of creating new venues that we can’t predict will be successful. It’s kind of like the noise ordinance. Dianne (council member Bellamy-Small) and I are both music majors. Noise and GPAC – they would at least listen to us. That was our expertise: acoustic, noise, music performance. I was placed on the Marketing Subcommittee for the GPAC. With what we’ve got going on now with Health Serv closing, with the homeless, with our mental health situation, a GPAC is not a need. Our needs are taking care of our roads, infrastructure, and sinkholes happening every other day. Some of the pipes underneath the city are 100 years old! We need to make sure the whole city is safe. I want to be a cheerleader for Greensboro, and if the GPAC is successful, I’ll be a cheerleader for it, too. Speaking of safety, you’ve been very pro-curfew, but want it to be city-wide. Do you think that will happen? MA: When it comes up September 3rd, I think we should be done with it. I have always fought against curfews, but I was there when (the downtown brawl) happened on July 29th. I was talking to children downtown, 12, 13, 14. MA: Twelve. These were young women, too. I asked them what they’re doing, and they said hanging out with their friends. I was just wowed. That’s why I have no guilt, no issue, doing a lockdown, but we need to do the whole city. We need to take a step back and find out why children go downtown to fight every weekend. We had heard from customers that this had been escalating, each weekend getting worse and worse. There were kids on Twitter and Facebook, kids from HP and Winston, using threatening language to start a fight, and they did. They converged. We were up there at Center City Park and there was a fight on every corner. I knew when they were going to fight. It was when they ripped their shirts off. Let’s get to the root of this, let’s find out what we’re going to do. I really think it was a wake-up call for an entire city of adults that we need to engage the youth. Do you feel that the curfew has been effective? MA: I think it’s a good start. Is it gonna solve everything? No. Were not going to stop all the fights. But I was uimnpressed and I will have to say that (the curfew) worked well with the city. Not everybody was happy, but it worked well with the police department and we aren’t constantly arresting kids. I went down two weekends at midnight – fully quiet – but basically, yes. I think the word got out. It was ironic that I was there. But then you see we have incidents right outside of downtown, outside of the the curfew district. You voted against the GPAC and made a profound comment about how we’re laying waste to our war memorials. Would you have been in favor of renovating the War Memorial Auditorium for the same cost as the GPAC? MA: This was about hanging on to a Greensboro landmark and I probably would’ve offered that for 10 or 15 million dollars, we could have gutted the building and made a performing arts facility. You have to look at the reasons for bringing a PAC to a specific area. That really upset me because we have something like a paradise and are we’re putting up a parking lot. That’s what we’re doing with the War Memorial Auditorium. They’re building the Field of Honor in Kernersville, and that’s wonderful, but these were specifcally built to honor veterans and we’re tearing them down. According to the Cooper-Carry plan for downtown Greensboro, our cultural arts district should be in the area of Davie, Summit, Bellemeade, and Lindsay streets, where the City Council recently purchased land for the GPAC. Do you agree that this is the best area for a cultural district? MA: Richard Beard said an Entertainment District should be right here where Carolina Theater is, close to the Community Theater of Greensboro and Triad Stage. Yes, you’ve got the Cultural Arts Center over there, but you’ve also got thriving businesses and thriving theaters over near Washington and Elm. South Elm. LeBauer Park seems to be tied to the GPAC; however, the late Mrs. Lebauer stipulated that the project built with her donation would go to “children and their families”. Do you feel that the plans for LeBauer Park meet her criteria? MA: ALL children. She stipulated it should go to ALL children and their families. This is where I had a big fiasco, actually. I think Mrs. LeBauer had such good intentions about teaching all children about environment and parks and horticulture and everything. She envisioned something that could be a learning park and I hope it pans out. They’re starting to break ground but we haven’t seen any blueprints yet. Is that odd, or is it normal to break ground before having blueprints? MA: I certainly think it’s odd. 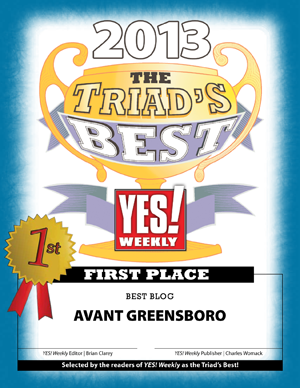 One of your top issues, according to GreensboroCouncilCandidates.com, is poverty. You quote that 20% of Greensboro children live in poverty, but it’s actually 26%, according to the Greensboro News & Record. What sort of needs does the city need to meet or raise funds for to help the impoverished? MA: We need to assist in funding the agencies that do the outreach that help those who are homeless or in poverty. We need to support organizations like the Interactive Resource Center (IRC), they’re quite awesome. Having said that, everybody says the big issue is jobs. We can’t create jobs — we create environments for jobs, but our focus is in the wrong direction. We hear that the GPAC is going to create thousands of jobs, but how? Really? Will it bring some economic development? Yes, it will create some, but it’s not going to help create the kind of jobs needed. But first, we’ve got to figure out the root cause of why these people are homeless. It terrifies me that the budgets have been cut that would help the people that are homeless. Guilford County cut the funds to HealthServe, so what’s that going to do? Clog up our hospitals here. It’s a domino effect. To me, what can make our city better are citizens who are healthy, employed, have the basic necessities for living, those that feel useful, feel needed in Greensboro. We’ve gone out on the homeless count and they didn’t know who I was, but they thanked me for talking to them. How much do we really reach out? Nobody goes out to the street to find out what the problem is. You had a unique position on the Council as a restaurateur during conversations about food trucks. How did that affect your vote? MA: Mahi’s has been in business for 20 years. I was a proponent of the food truck pilot program, but I wanted to hear from the restaurant owners. When 30 fellow restaurant owners came to us to voice complaints about the pilot program, I voted against the trucks. The financial difficulties of the International Civil Rights Museum has been a heated topic in the press, on social media channels, and has a long history of financial troubles. It seems like Skip Alston has done this before – not provided the council with a lot of data, right? MA: Those of us who want to see the museum succeed didn’t see anything about the possibility of a loan instead of a grant until right before the meeting. I can’t vote on something like that. If you say loan versus grant, I’m all for it. We should have gotten the information well in advance. At that meeting (on August 20), there were a lot of speakers on that agenda item, and the meeting lasted for about 9 and a half hours. Do you think we need more City Council meetings every month? MA: We started an hour and a half earlier than usual. We’ve got to have that third meeting, I don’t care if we have 3 or 4 a month. It’s intense up there. There’s conversations going on beside you and behind you. There’s so much activity and I love every minute of it. What other things would you like to see happen if re-elected to the City Council? MA: Electronic filing for candidates: I think that will streamline a lot of things. We’re getting a lot of rezoning requests, a lot of incentive requests, loan requests, and I hope I can continue to make researched, educated decisions on these things because some things just tug at your heart. The International Civil Rights Museum is one of those things that we can’t let be defeated. Personally, I think the county should kick in, too. What do you enjoy about being a member of the Greensboro City Council? MA: I’ve really enjoyed it and I feel like I’ve brought how a regular citizen feels to council. I want to fight for small businesses, but also being someone in the community who’s a regular citizen – it brings a different dynamic to the Council. If you’d like to follow Marikay Abuzuaiter’s campaign, you can follow her on Facebook or reach her at Greensboro City’s website, which provides her email address and cell phone number. Your failure to broach the subject of charges that she was a confifential informant to the GPD and her subsequent denials represent a disgrace to journalism. What are the current poverty and unemployment rates for Americans? The ongoing economic crisis has negatively affected the livelihoods of millions of Americans. According the U.S. Bureau of Labor Statistics (2012), the unemployment rate is 8.3 percent as of January 2012. Despite the data showing a decline of 0.2 percent from December 2011, the unemployment rate is still high by all accounts, having doubled since the beginning of the recession in December 2007. U.S. Census Bureau data shows that the U.S. poverty rate rose to 15.1 percent (46.2 million) in 2010, an increase from 14.3 percent (approximately 43.6 million) in 2009 and the highest level since 1993. In 2008, 13.2 percent (39.8 million) Americans lived in relative poverty. In 2000, the poverty rate for individuals was 12.2 percent and for families was 9.3 percent. In 2010, the poverty threshold, or poverty line, was $22,314 for a family of four. Over 15 percent of the population fell below this threshold in 2010. The percentage of people in deep poverty was 13.5 percent of all Blacks and 10.9 percent of all Hispanics, compared to 5.8 percent of Asians and 4.3 percent of Whites. While non-Hispanic Whites still constitute the largest single group of Americans living in poverty, ethnic minority groups are overrepresented (27.4 percent African American; 28.4 percent American Indian and Alaskan Native; 26.6 percent Hispanic, and 12.1 percent Asian and Pacific Islander compared with 9.9 percent non-Hispanic White). These disparities are associated with the historical marginalization of ethnic minority groups and entrenched barriers to good education and jobs. U.S. Census data reveals that from 2009 to 2010, the total number of children under age 18 living in poverty increased to 16.4 million from 15.5 million. Child poverty rose from 20.7 percent in 2009, to 22 percent in 2010, and this is the highest it has ever been since 1993. Racial and ethnic disparities in poverty rates persist among children. The poverty rate for Black children was 38.2 percent; 32.3 percent for Hispanic children; 17 percent for non-Hispanic White children; and 13 percent for Asian children. The National Center for Children in Poverty reports that 17.2 million children living in the U.S. have a foreign-born parent, and 4.2 million children of immigrant parents are poor. It is reported that child poverty in immigrant families is more closely related to low-wage work and barriers to valuable work supports. The Population Reference Bureau (2010) reports that 24 percent of the 75 million children under age 18 in the U.S. live in a single-mother family. The poverty rate for children living in female-householder families (no spouse present) was 42.2 percent in 2010; 7 in 10 children living with a single mother are poor or low-income, compared to less than a third (32 percent) of children living in other types of families. A staggering 50.9 percent of female-headed Hispanic households with children below 18 years of age live in poverty (48.8 percent for Blacks; 31.6 percent Asian, and 32.1 percent non-Hispanic White). Single-mother headed households are more prevalent among African American and Hispanic families contributing to ethnic disparities in poverty. Psychological research has demonstrated that living in poverty has a wide range of negative effects on the physical and mental health and wellbeing of our nation’s children. Poverty impacts children within their various contexts at home, in school, and in their neighborhoods and communities. Poverty is linked with negative conditions such as substandard housing, homelessness, inadequate nutrition and food insecurity, inadequate child care, lack of access to health care, unsafe neighborhoods, and underresourced schools which adversely impact our nation’s children. Poorer children and teens are also at greater risk for several negative outcomes such as poor academic achievement, school dropout, abuse and neglect, behavioral and socioemotional problems, physical health problems, and developmental delays. These effects are compounded by the barriers children and their families encounter when trying to access physical and mental health care. Economists estimate that child poverty costs an estimated $500 billion a year to the U.S. economy; reduces productivity and economic output by 1.3 percent of GDP; raises crime and increases health expenditure (Holzer et al., 2008). Poverty has a particularly adverse effect on the academic outcomes of children, especially during early childhood. Chronic stress associated with living in poverty has been shown to adversely affect children’s concentration and memory which may impact their ability to learn. The National Center for Education Statistics reports that in 2008, the dropout rate of students living in low-income families was about four and one-half times greater than the rate of children from higher-income families (8.7 percent versus 2.0 percent). The academic achievement gap for poorer youth is particularly pronounced for low-income African American and Hispanic children compared with their more affluent White peers. Underresourced schools in poorer communities struggle to meet the learning needs of their students and aid them in fulfilling their potential. Inadequate education contributes to the cycle of poverty by making it more difficult for low-income children to lift themselves and future generations out of poverty. Children living in poverty are at greater risk of behavioral and emotional problems. Some behavioral problems may include impulsiveness, difficulty getting along with peers, aggression, attention-deficit/hyperactivity disorder (ADHD) and conduct disorder. Some emotional problems may include feelings of anxiety, depression, and low self-esteem. Poverty and economic hardship is particularly difficult for parents who may experience chronic stress, depression, marital distress and exhibit harsher parenting behaviors. These are all linked to poor social and emotional outcomes for children. Unsafe neighborhoods may expose low-income children to violence which can cause a number of psychosocial difficulties. Violence exposure can also predict future violent behavior in youth which places them at greater risk of injury and mortality and entry into the juvenile justice system. Log in | 45 queries. 0.538 seconds.